Provide comfort for the family of Theresa Martha Uglanica with a meaningful gesture of sympathy. 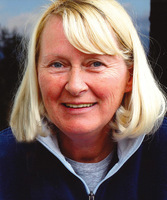 Theresa Martha Uglanica of Warspite, AB passed away at the age of 69 years on Friday, April 5, 2019. Theresa will be lovingly remembered by her husband of 43 years, Randy; son, Christopher and his wife, Janice; daughter, Alyssa; grandson, Keenan; granddaughters, Traelyn, Rheagan, Madelyn and Emery; sister, Wanda Papa; as well as numerous relatives and friends. Predeceased by her parents, Tekla and Michael Zakrewski; and brother, Richard. For years Theresa suffered terribly from a lung disease knows as Chronic Obstructive Pulmonary Disease, characterized by increasing breathlessness. Theresa obtained a Nursing Certificate in Ontario which she used to work in Woodstock and in Inuvic, NWT. Theresa loved sports and greatly enjoyed playing both fastball and slow pitch. The Alberta Sports Council awarded her a Coaching Certificate for her commitment to the development and advancement of Amateur Sport. She worked as a Teacher’s Aid in Faro, Yukon and the H. A. Kostash School, as well as the Smoky Lake Hutterite Colony. One year she was awarded a Plaque and Certificate for being the best Teacher’s Aid in all the Hutterite Colonies in both Canada and the United States. Family and friends may pay their respects on Friday, April 12 from 1:00 p.m. to 3:00 p.m. at Park Memorial Funeral Home, 9709 – 111 Avenue, Edmonton. We encourage you to share your most beloved memories of Theresa Martha here, so that the family and other loved ones can always see it. You can upload cherished photographs, or share your favorite stories, and can even comment on those shared by others.